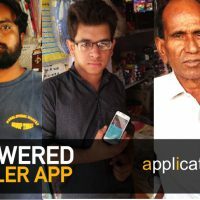 Dealer App - For Real-time Transaction and Engagement !! Retailer APP – Digital Transaction & Engagement with Channel Partners !! Retailers & Dealers are the last-mile connect in driving the growth of a company. But, the last-mile has been the most disconnected since decades. It still takes weeks to reach and communicate to the retailer about pricing, trade promotions, new products etc with multiple layers of physical interaction in between. 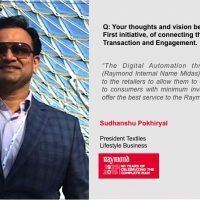 Time has come, technology will permanently destroy this age-old barrier between a company and it’s most critical partner of growth, the Retailers/Dealers. It is the time to connect the last-mile first! 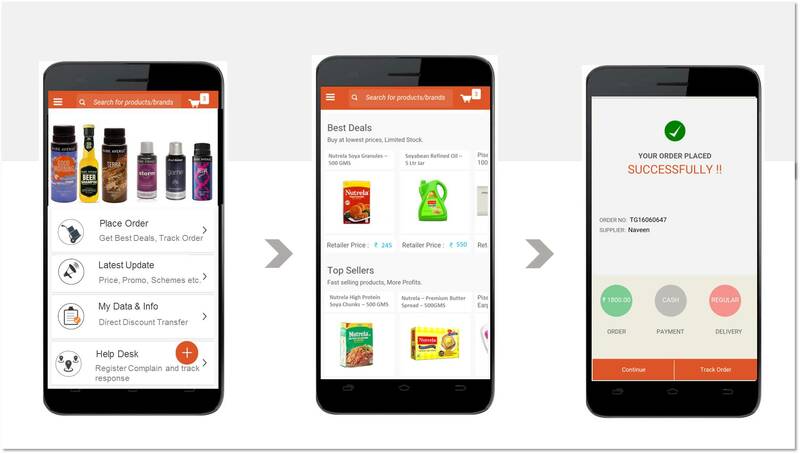 “In the next 2-3 years, Retailers and Dealers of consumer goods companies will do most of their transaction and engagement thru Mobile Apps”. 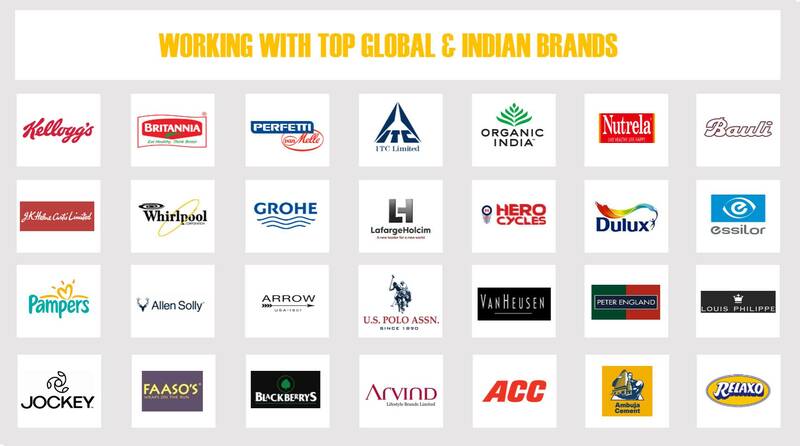 Most of the Global and Indian companies that lead technology and industry best practices are connecting with their Dealers, Retailers and Channel Partners for Real-time Sales Order, Latest Update on New Products, Promotions & Catalogue, Visibility of Price, Schemes, Claims, and escalation of unresolved issues. 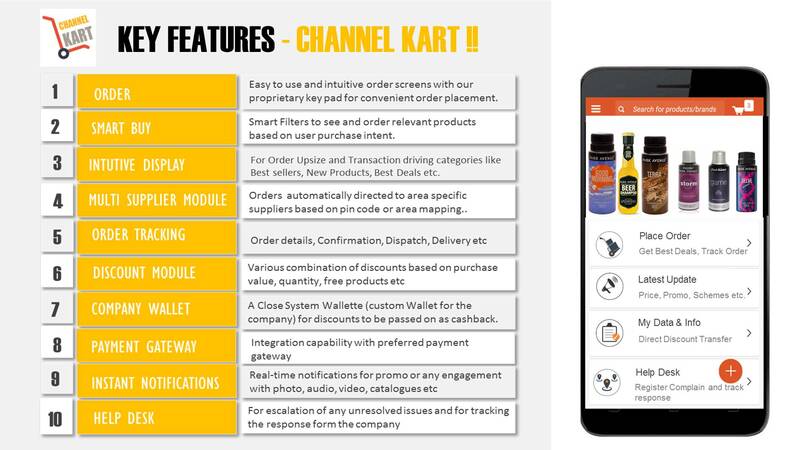 With an eye on future, these companies have tied-up with Bangalore based Sales-Tech Startup, ‘Applicate’ for its proprietary product ‘Channel KART’ specially designed for digital transaction and engagement with the Channel Partners. 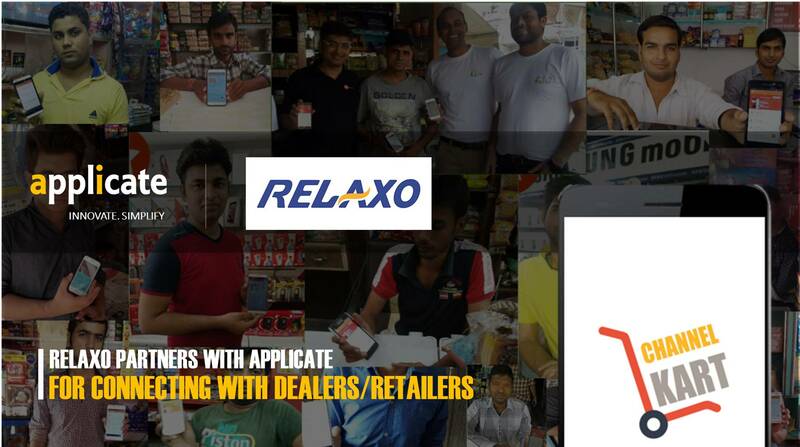 India’s leading Footwear company Relaxo Footwear has partnered with the Gurgaon and Bangalore based Sales-Tech company ‘Applicate’ to create a B2B e-commerce platform for transaction and engagement with their Dealers/Retailers. This paradigm shift will change the balance of power in favor of agile and technology-driven companies. The market leadership of traditional companies will be challenged by the companies adopting and leading traditional businesses with the exponential power of new age technologies. It is the time to connect the last-mile first! 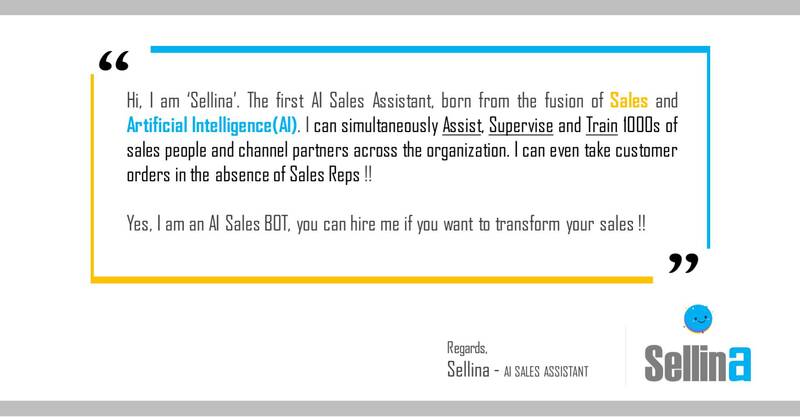 Most interestingly, Channel KART is also powered with Applicate’s proprietary AI Sales Assistant ‘Sellina’. 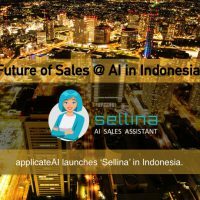 ‘ApplicateAI’ is the first Sales-Tech Platform powered with AI and Machine Learning based ‘Sales BOT’ !! 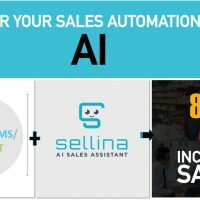 An integrated mobile and web-based AI Sales-Tech Platform for all you need in Sales. Ready-to-deploy, next-generation apps for Sales Team, Service Team, Modern Trade Execution Tracking, Merchandising Tracking, Rural Distributors, Retailers, and DMS. One app that works across Roles, Functions, and Channels !! 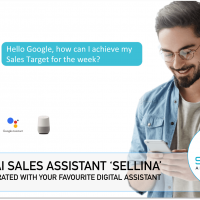 We are already working with some of the biggest Global and Indian brands like ITC, Kelloggs, Britannia, Perfetti, Bauli, Organic India, Whirlpool, Grohe, Akzonobel, Allen Solly, Louis Philippe, Van Heusen, Jockey, Arrow, U.S. Polo and others to enhance their execution with our Sales-Tech Platform for Sales, Distribution, and Retail. To know more about Applicate and Channel KRAT, pl. write to me at ranjeet@applicate.in.